I’ve had a tired little man this week. Which means long naps for him and a spurt on the memory quilt for me. Since my last post, I’ve spent several hours piecing the quilt top. 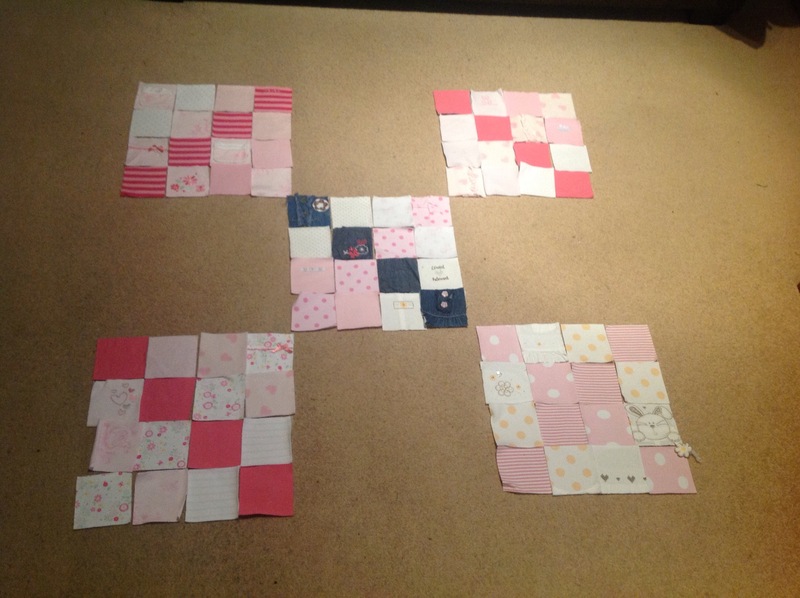 My aim was to have fewer smaller squares than my last memory quilt. Mainly because they are such a pain to join together – matching seams. This was my starting point of piecing. 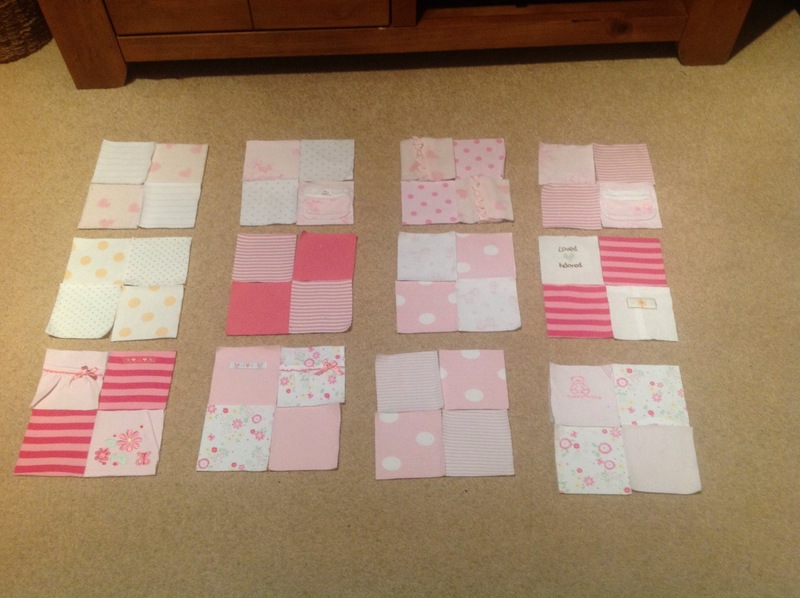 First, I played around with colour combinations of smaller squares. Not bad for a day’s nap times. 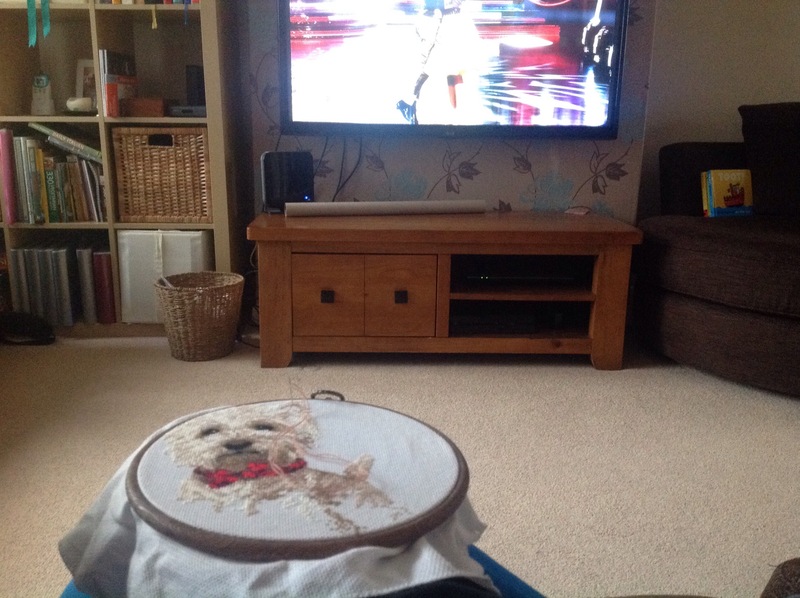 This afternoon, whilst catching up with last night’s Strictly while little man napped and my husband played hockey, I cross stitched. 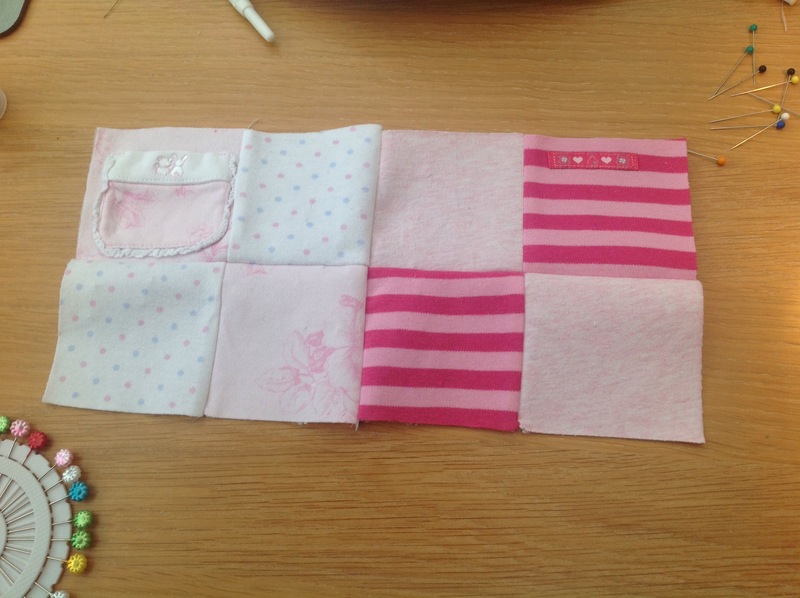 Little man was still asleep, so I dusted off my sewing machine, changed the walking foot back to my 1/4″ foot, threaded it and began sewing the squares of my quilt. 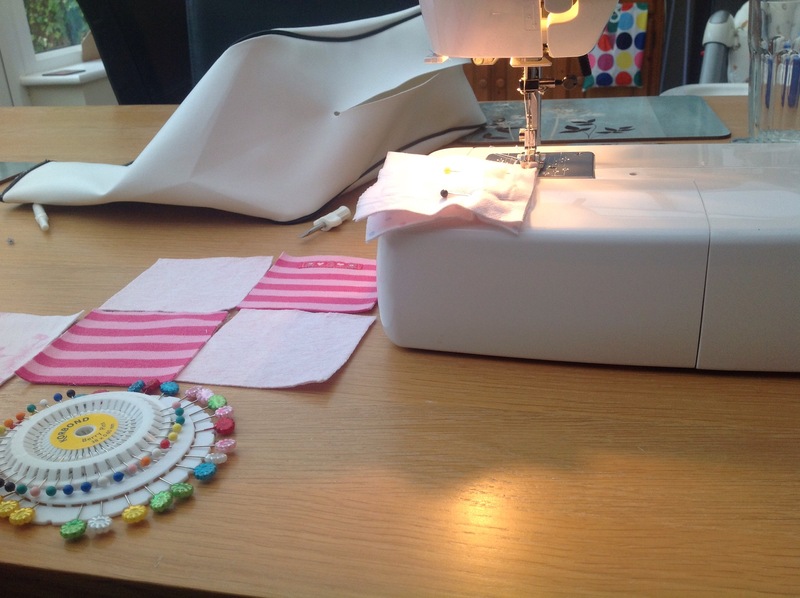 I’ve done the washing up, emptied the washing machine, put the bins out, written this blog post. And he’s still asleep! 3 hours and counting. 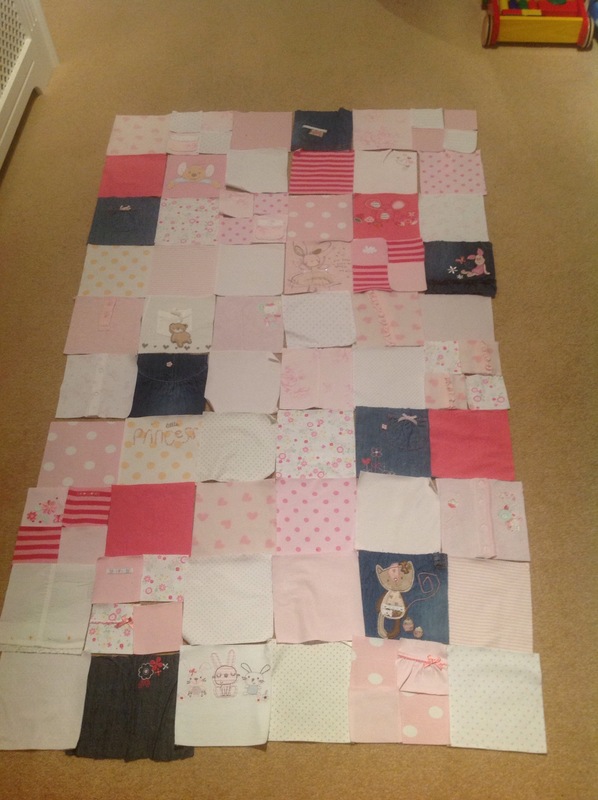 I’m going to set myself a challenge and see if I can get the quilt top sewn by the end of next week. Here goes! 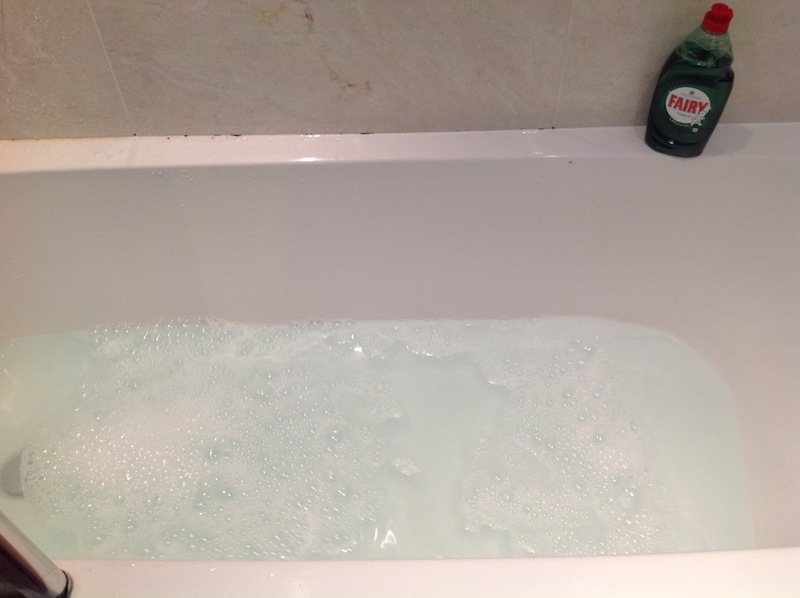 The first ever bath, in fact. 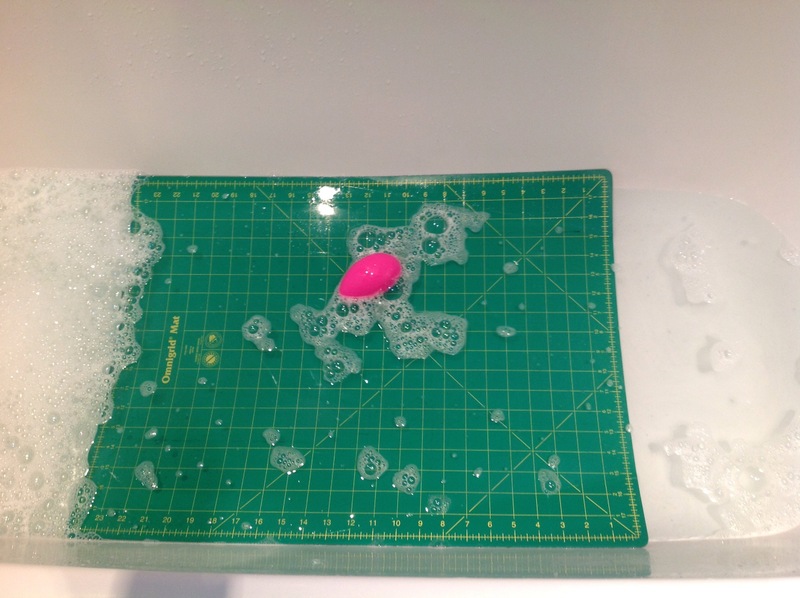 Not for me – I love a bath – but for my weary, slightly grubby, cutting mat. 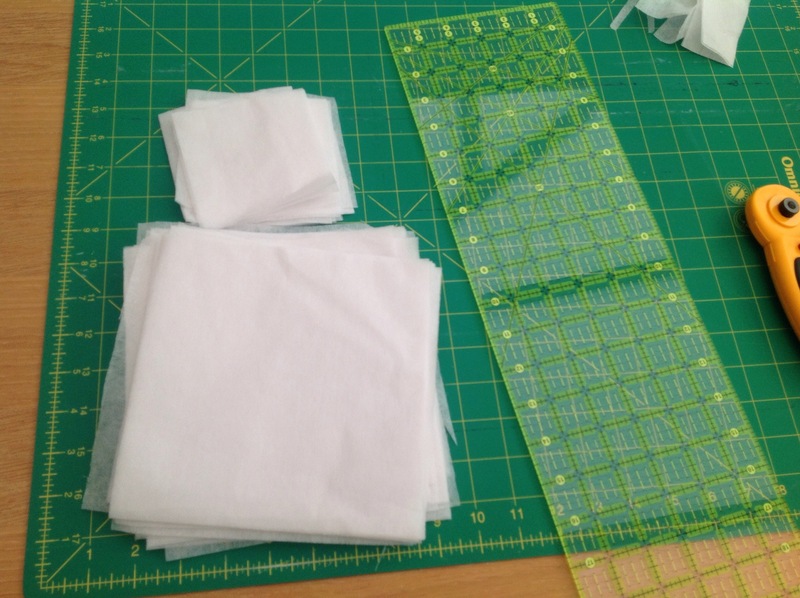 Since I started cutting the squares for memory quilt no.2, I’ve been finding it really hard work to cut the fabric. 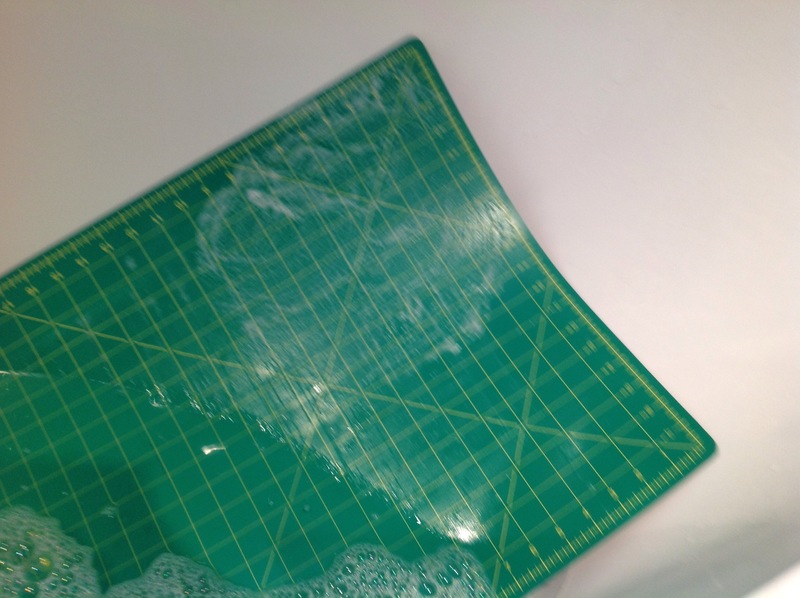 I wasn’t sure if this was due to a blunt rotary cutter blade or to my mat being a bit mucky and clogged up, or both. 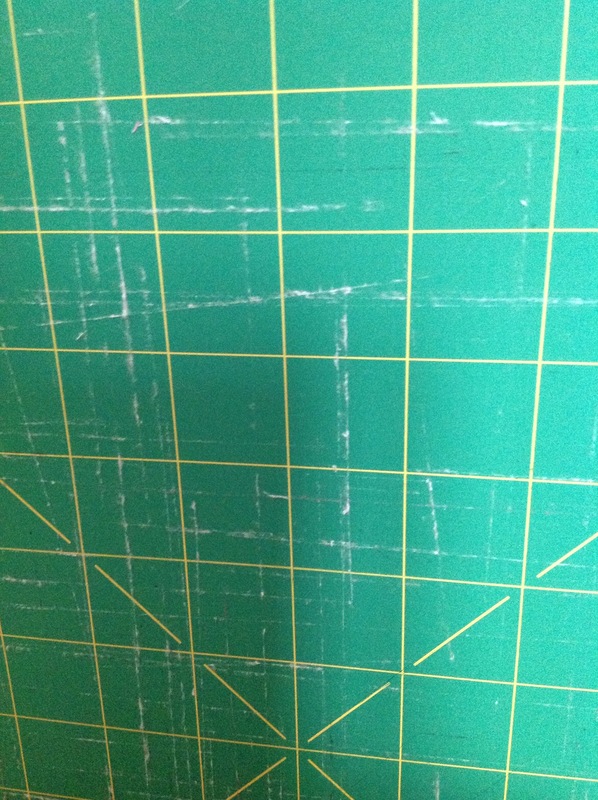 I’d ordered a new blade for my rotary cutter, but as I was due to be using my mat to cut up some wedding invitations, I thought I’d give it a clean too. Good old Google came up trumps with this tutorial which advised giving it a bath in white vinegar and washing up liquid. So that’s what I did. This was a good product test between own brand and branded washing up liquid. The tutorial said to work up a good lather. Happy Shopper washing up liquid failed to work up the required bubbles. 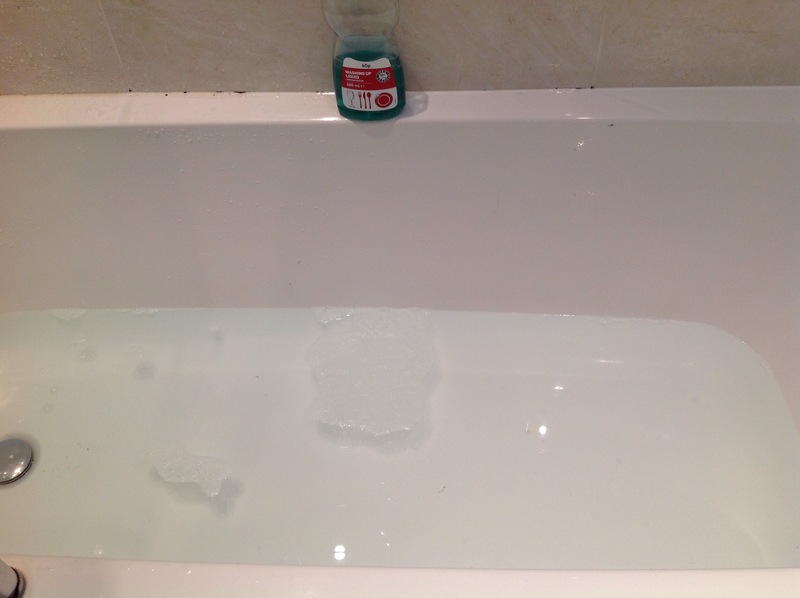 Fairy Liquid did the trick. The instructions said to use a mushroom brush to work up a lather on the mat. A mushroom brush?! I have a lot of culinary implements, but I don’t own one of those. I tried a pastry brush. No lather. My son’s old toothbrush. Nope. A nail brush. Success! 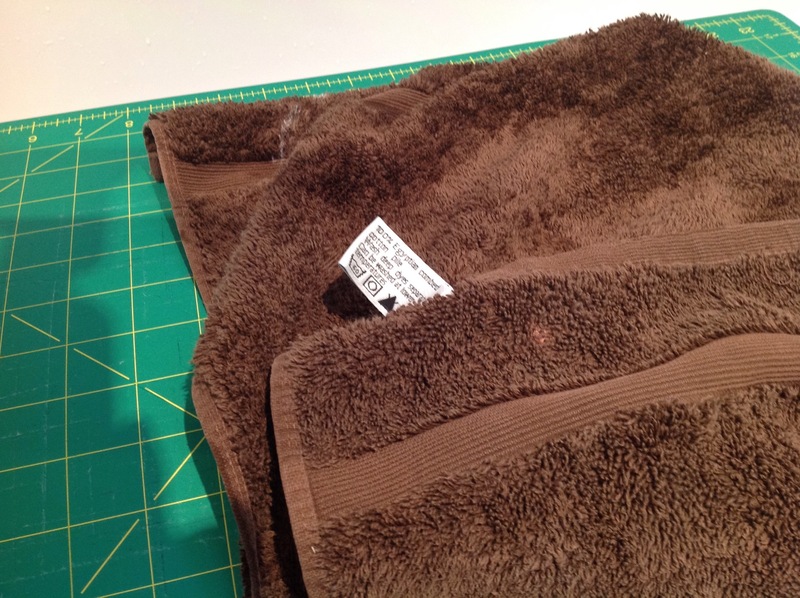 Next up, it said to let the mat air dry or dry it with a towel. Given that I don’t have any patience, I opted for the latter. Egyptian cotton no less. 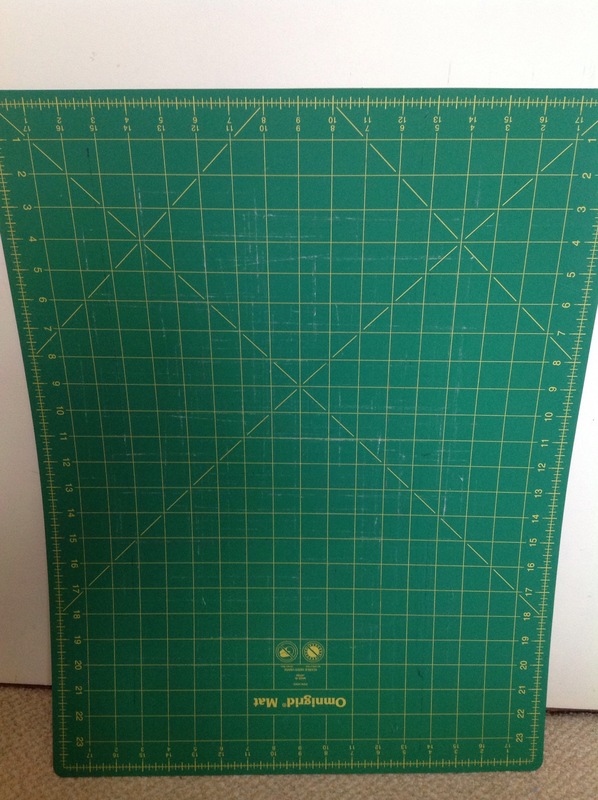 I know how to show my cutting mat a good time. Time for the all important before and after pictures. Can’t see much difference? Neither could I. It was a bit less fluffy though. 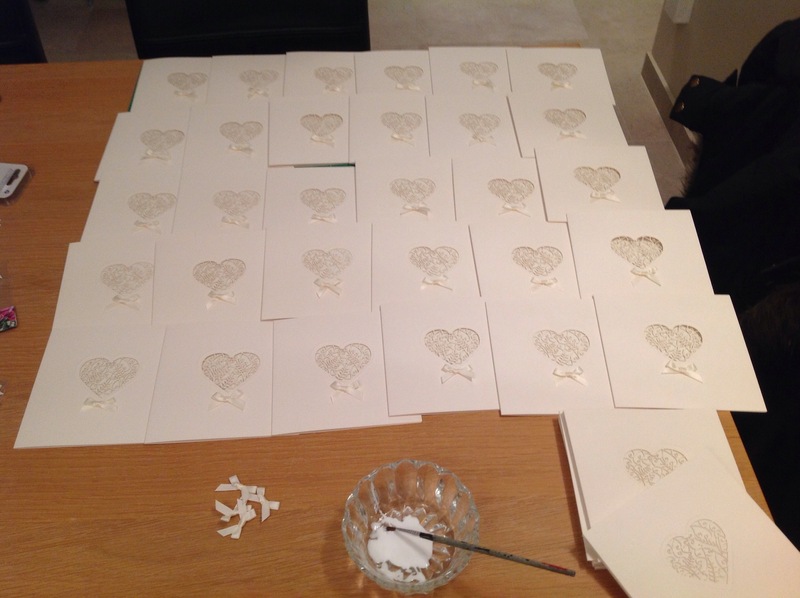 And I’m pleased to say that, when it came to cutting out the inners for the wedding invitations I’m helping my sister in law with, my scalpel ran through the paper like a dream. The next night, I glued ribbons onto the front of all the invitations. And then I could get back to my latest memory quilt. 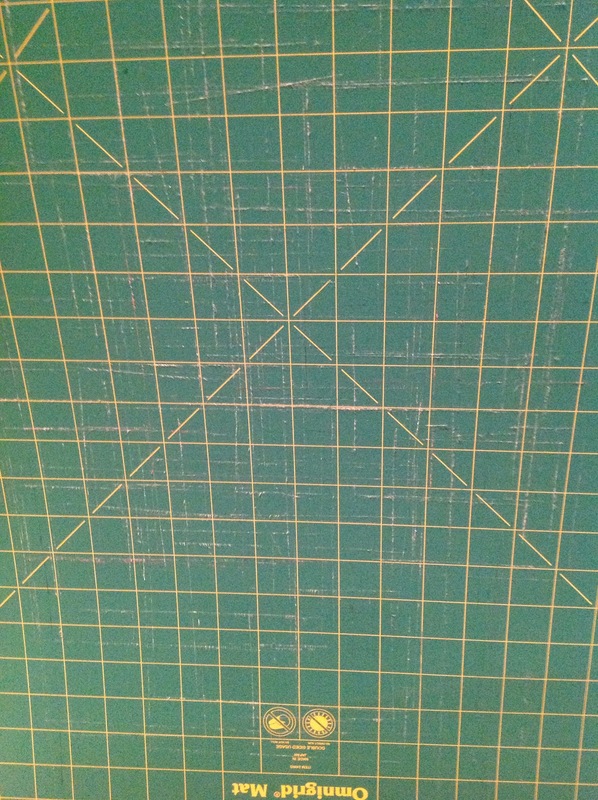 The new blade for my rotary cutter has made such a difference. 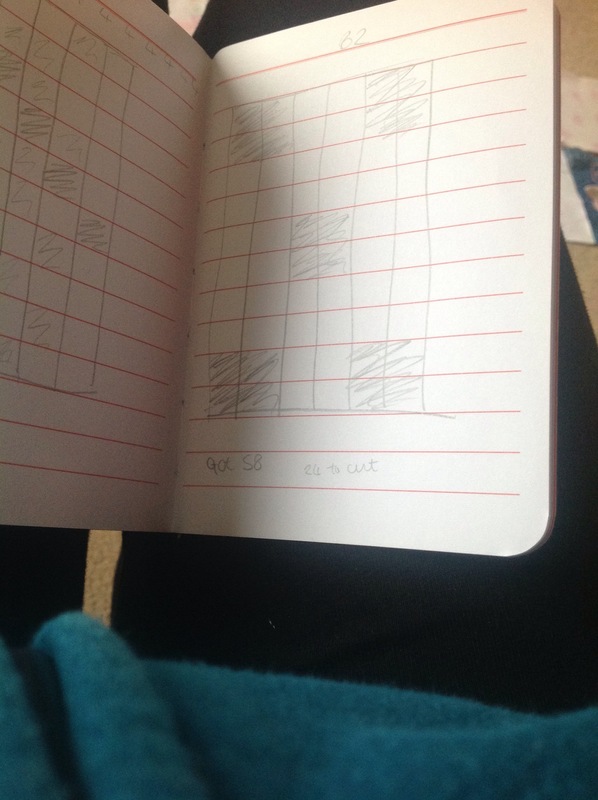 Today, I spent an hour cutting out squares and reached a grand total of 56 6×6 squares and 42 3×3 squares. 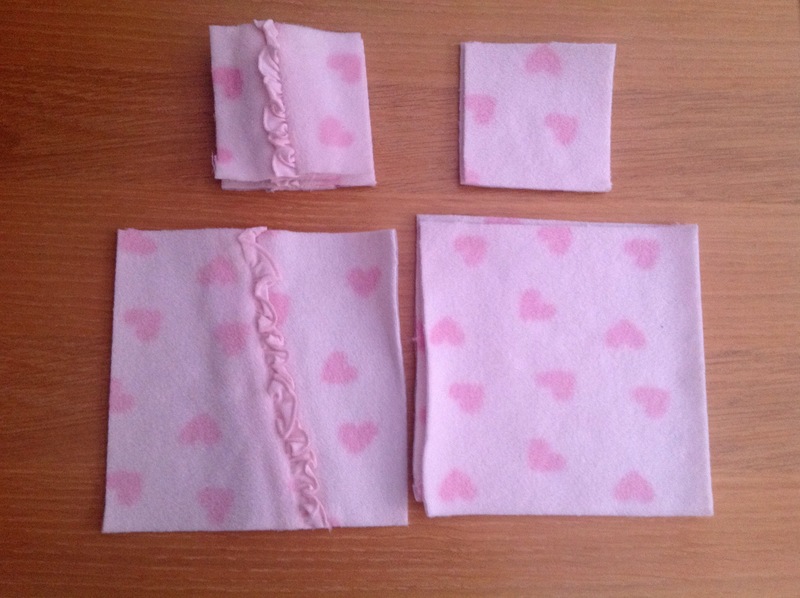 I thought I’d stop there, lay them out and in order to decide which leftover fabric to cut up to fill in the gaps. 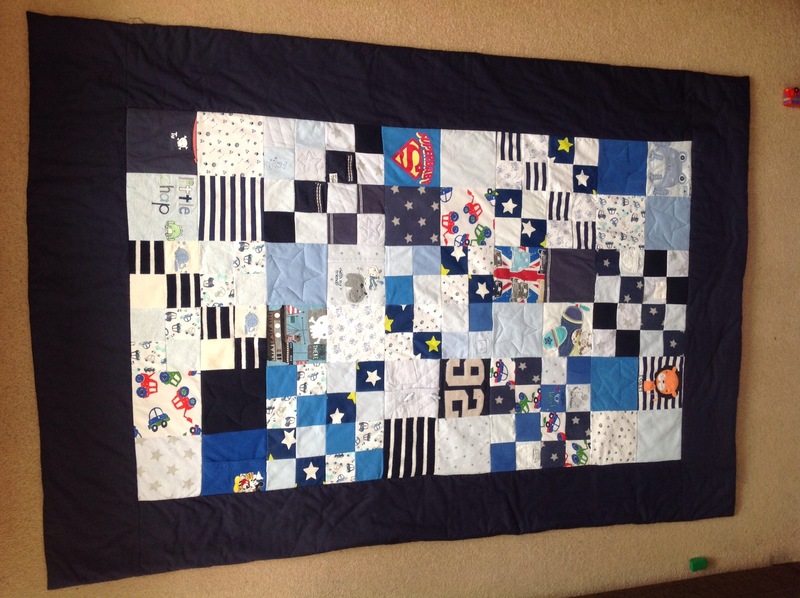 My maths failed me again, and, somewhere along the way, I thought the quilt would be made up of 70 6×6 squares. When, in fact, I needed only 60. So I’ve ended up with enough. 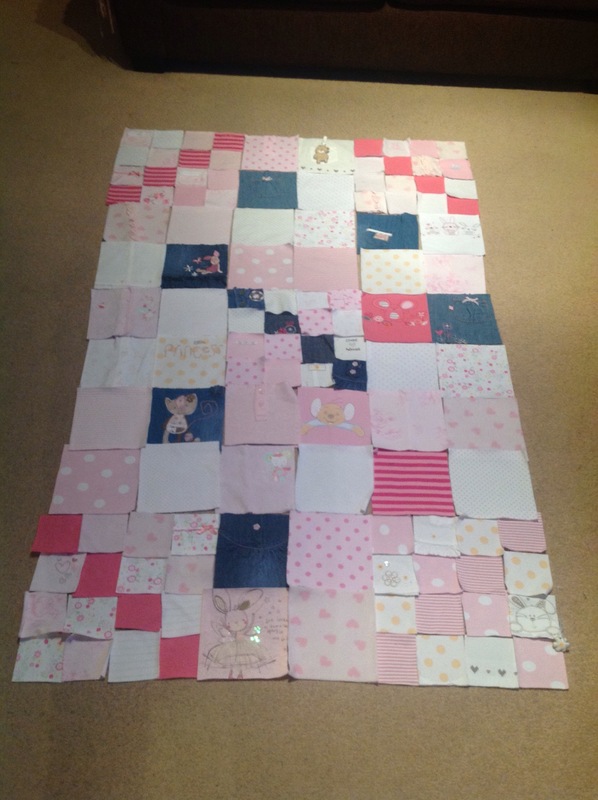 However, having laid them out, I’m going to cut out a few more as I’m trying to get rid of the plain squares. Here’s a sneak preview of my starting point. 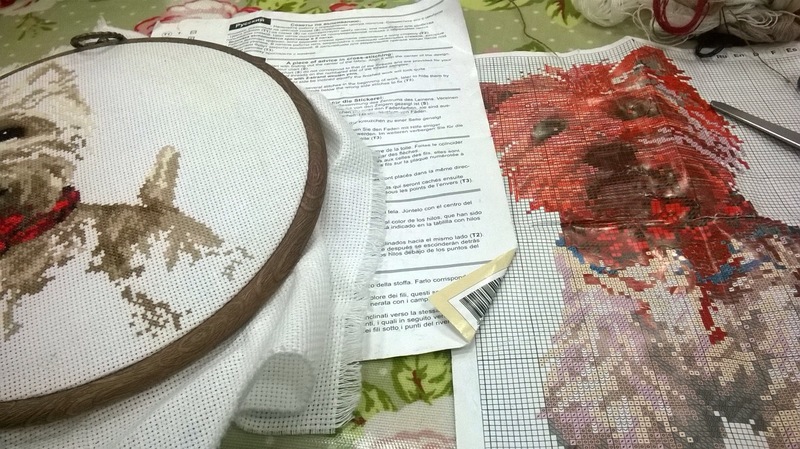 It’ll probably look quite different once I’ve finished swapping squares around. But I’m pleased to be at this stage already.